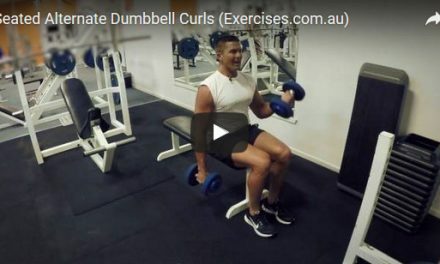 Kettlebell Figure 8 is a dynamic and functional exercise that works several muscle groups: core section, lower back, glutes, hamstrings, quadriceps, shoulders and arms. Kettlebell Figure 8 helps develop coordination, balance and mobility. This exercise is important for physical activities that require coordination such as basketball, soccer and rugby. Assume a shoulder width position; knees bent, push your hips out and keep a flat back position. Your core and glute muscles must remain tight throughout the exercise. 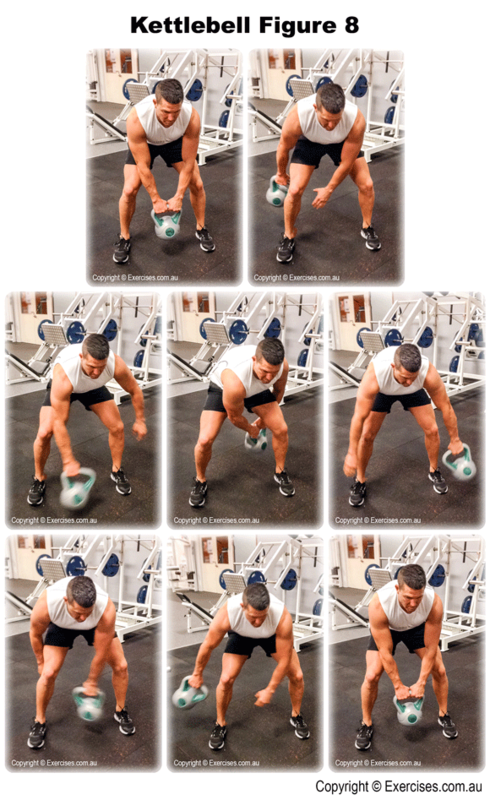 Pick up a kettlebell and move it in and around your legs in a “figure 8” pattern. Continue the exercise until you have completed the targeted number of reps.
Kettlebell Figure 8 is an exercise that requires focus, timing and coordination. Different areas of your abdominal section will be constantly contracting and flexing as the kettlebell moves in and around your legs causing shifts in bodyweight. The exercise activates the abdominal area as if you were doing sets of crunches. Keep a flat back position to support your lower back and reduce compression forces on your lumbar area due to the shifts in bodyweight. Do not rush through this exercise. Do not go heavy in this exercise as it may force your body out of position.